Interested in a GREAT NYC Book about The Big Apple? This list highlights five not-to-be-missed! 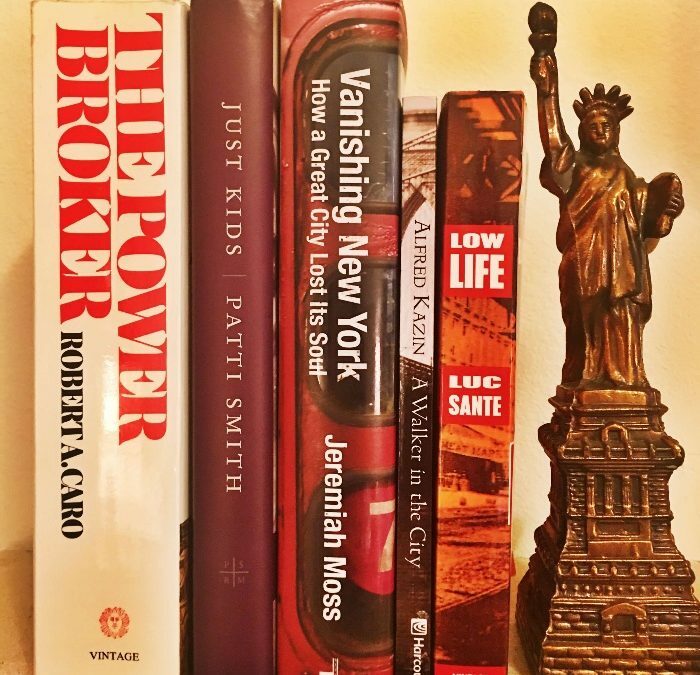 Add This NYC Book List to Your Must Reads! Y’all know how much I love NYC! But my enjoyment of Manhattan pales in comparison to the love my husband, Will, has for the Big Apple. And when Will loves something, he wants to learn all he can on the subject. Will has an enormous library of books about NYC, and I’ve asked him to share his favorite NYC Book with y’all! Q: Will, tell us about your early visits to NYC. 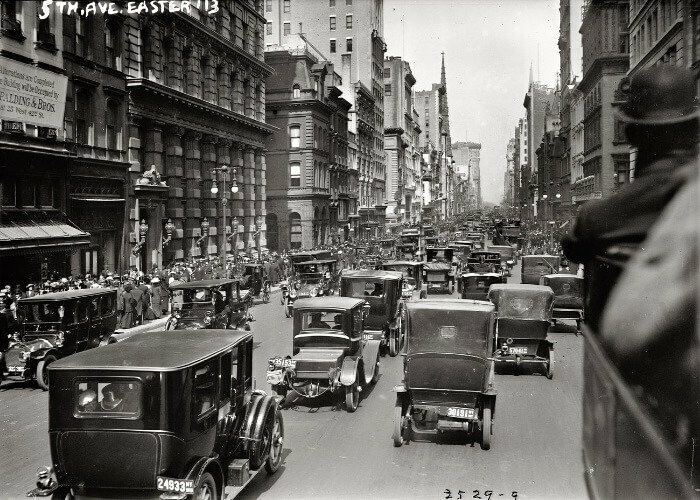 A: I made my first trip to NYC at 14 years old, and immediately fell in love with the hustle and bustle. Visiting the MET was a thunder-clap moment, as I explored the vast galleries filled with amazing collections. Dallas simply did not have the same depth of history or culture. Because I loved history, I could spend hours looking in the book shops, and antique stores. In the mid 1970’s there were lots of old dusty places to visit. Q: Tell me about one of your favorite early memories. A: I used to go to NYC with my mom and grandmother. Early in the day, I’d take the Staten Island Ferry to Staten Island, ride a bus to a certain stop, walk across the street to a Bodega and make a call on a pay phone to a man named Jacques Jacobsen, a well-known militaria dealer. He’d come pick me up, and I’d go to his house to buy WWI military uniforms and other items. I’d haul it all back to Dallas, keep some things, and sell the rest to a store called The Militaria in the Quadrangle. Q: Wow! How cool! OK, so let’s talk about your favorite NYC Book. A: It was hard to pick 5, because there are so many good books. NYC has such a long and rich history. So, I decided to choose 5 that represent 20th century history. Caro is one of my favorite authors. This fabulous Pulitzer Prize winning book examines Robert Moses’ quest to achieve and wield power, and how that desire changed the face of NYC. I think you highlighted the documentary Citizen Jane in this post, who thwarted Moses’s plans for Washington Square Park. Low Life is a great book about the opium dens, brothels, and saloons of late 19th and early 20th century NYC. 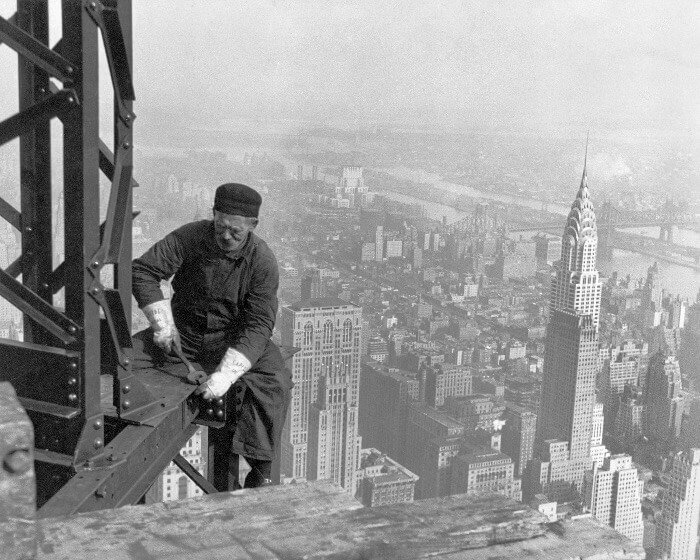 The gritty underbelly of old New York is a really interesting read! I love this book! 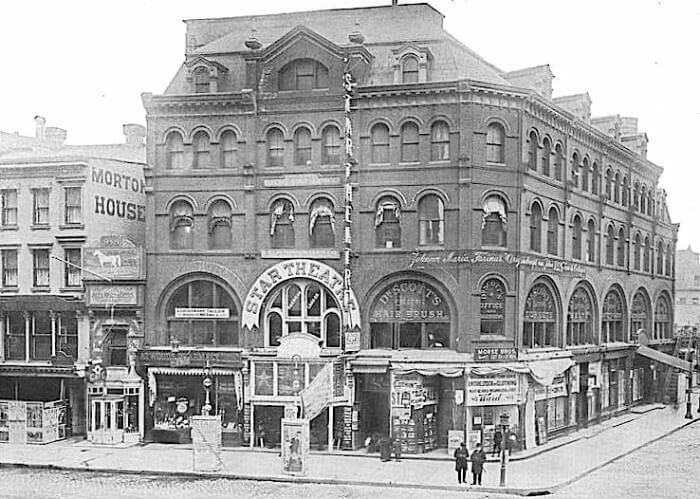 One man’s memoir of his childhood in early 20th century NYC, as he walked the unique neighborhoods of various parts of New York, later published in 1946. 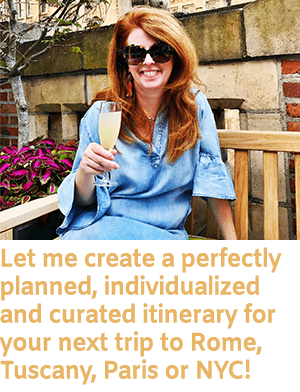 Fran Leibowitz said it best: A city with only rich people is not interesting. 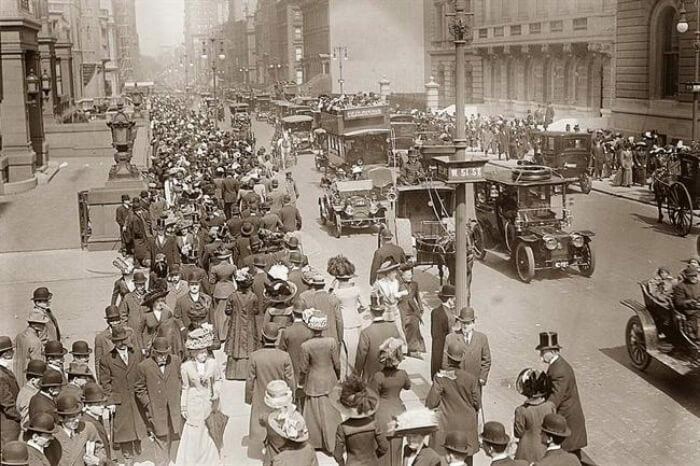 What is happening to NYC as the old gritty neighborhoods give way to a gentrified city, where only the wealthiest people can live there, and block after block is the same retailers, the same restaurants….what is lost maybe can never be recaptured. A truly remarkable memoir as Patti recalls her relationship with Robert Maplethorpe in NYC in the 1970’s. Max’s Kansas City and the Chelsea Hotel are just two of the long-gone NYC institutions revisited in this wonderful book! I hope you will consider adding at least one of Will’s recommended NYC Book to your reading list, especially if you are planning travel there soon! Will Evans was born in Houston, TX and spend his early childhood in Tyler, TX. He moved to Dallas during his teens and served in the Marine Reserves following high school. 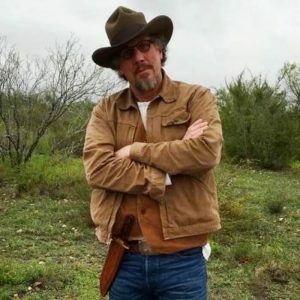 Will spent more than twenty-five years in the Commercial Real Estate business, while following his passion for living history, folk art and militaria collecting, and travel. 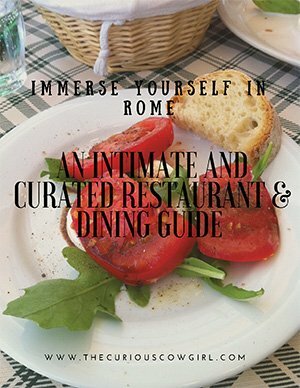 If all these books makes you want to visit NYC in person, y NYC Restaurant Guide is only $10, and has over 30 restaurant suggestions, organized by part of town, and includes phone numbers, and information about those that participate on Open Table. Worth every penny y’all!!!! 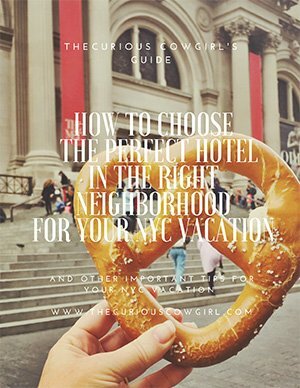 For more information about visiting NYC, please check out this post, this post, this post, and this post! Take your own bite out of The Big Apple! Than you for featuring me in your wonderful blog. RE: Book #4 photo — yeah, I’m sure people really want to return to the “interesting” life of graffiti-ed subway stations. If graffiti and trash and people sleeping on the street means NYC is less “gritty” or as Leibowitz deems “interesting” — I’m all for boredom! Hey Tori! 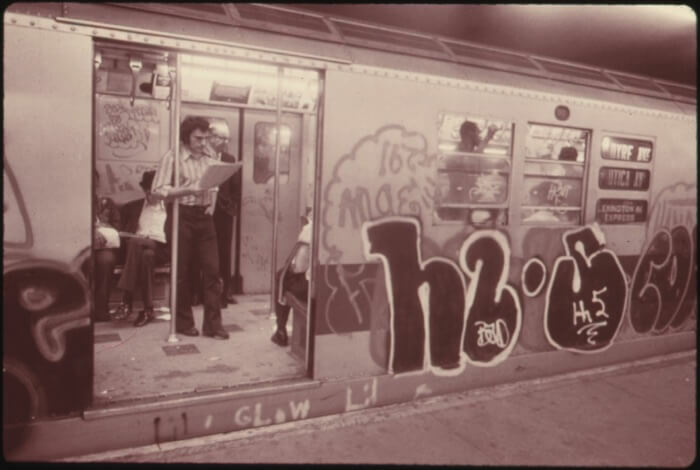 Yes, the picture of the graffiti subway was not meant to be wistful, nor are they illustrations from the books themselves, but rather an interesting picture of NYC in the past. A cleaner safer NYC is something we all enjoy! The focal point of the post was to highlight books! I appreciate your reading my Blog! Thanks so much!